Owen Shiels aka OzzieOwen takes a dive into his deep run in the "Big Fish" on 888 during a recent Sunday grind. He focuses on pre flop play and early stage strategy in this first installment where he does his best to keep pots small while developing reads on the table. Owen Shiels aka OzzieOwen dives into one of the more fuzzy scenarios...getting flatted by an in position player and facing a middling, connected flop. He provides an in depth discussion on how small specifics can impact flop strategy and shows how to trace the differences through PIO's diverse functionalities. March 24, 2019 | 5 p.m.
March 13, 2019 | 5 p.m.
Owen Shiels aka ozzieowen provides his tips and tricks to effectively study MTT concepts in this new series. After an introduction on general approaches for successful poker studying this first video focuses on the bread and butter of MTT grinders: shove-call ranges. Feb. 10, 2019 | 5 p.m.
Owen Shiels aka ozzieowen reviews the final table action of the Powerfest Mini Main Event playing for the $21,875 first prize. With ICM pressure affecting strategies strongly Owen makes this video a good opportunity to study practical ICM examples on Final Tables. Jan. 16, 2019 | 5 p.m.
On his way into the final table, Owen Shiels aka ozzieowen reviews his play in the replayer before analyzing a hand in detail in PIO Solver. Play becomes shorthanded as Owen Shiels aka ozzieowen approaches the final table in the eleventh installment of the $22 Powerfest Mini Main Event. During review Owen fires up Power Equilab, ICMIZER and PIOsolver to back up his analysis for an interesting cbetting decision and some shove/fold considerations. Dec. 12, 2018 | 5 p.m.
Owen Shiels aka ozzieowen breaks down the next stage of play in his $22 Powerfest Mini Main Event series concluding the video with two PIO sim discussions. Nov. 25, 2018 | 5 p.m.
Owen Shiels aka ozzieowen continues his HUDless grind sitting on a middle stack in this big field tournament and analyzes hands in which he's VPIP'd on his march towards the final table. 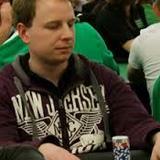 Owen Shiels aka ozzieowen is back for part 8 of his $22 Powerfest Mini Main Event series. In this part, he discusses checking ranges on dynamic boards OOP as well as capped ranges before using PIO to explore an interesting hand from the tournament. Nov. 7, 2018 | 5 p.m.
Owen Shiels aka OzzieOwen soldiers on with part 7 of his review this time holding a 90bb stack and a commanding chip lead over his table. Oct. 17, 2018 | 5 p.m. In part 6 of his $22 Powerfest Mini Main Event series, Owen Shiels aka ozzieowen discusses postflop bet sizing considerations, turn leading ranges, and examines a hand in detail using PIO Solver. Owen Shiels aka ozzieowen finishes off his review of Run It Once member Tao97's MTT play. In this video, Owen focuses on the 4 main mistakes that low stakes players make when they get to HU play in a tournament. In part 5 of his $22 Powerfest Mini Main Event series Owen Shiels aka ozzieowen discusses board textures, preflop ranges, and how bet sizes should be affected by those two factors. July 29, 2018 | 5 p.m.
Owen Shiels aka ozzieowen brings you part 4 of his $22 Powerfest Mini Main Event series. In this video, he discusses the impact of stack sizes on postflop play and how to deal with a maniac to your left. July 15, 2018 | 5 p.m.
Owen Shiels aka ozzieowen brings you part 3 of his $22 Powerfest Mini Main Event series where he focuses on unconventional lines, the importance of blockers, and multiway pots. Owen Shiels aka ozzieowen brings you part 2 of his $22 Powerfest Mini Main Event series where he focuses on navigating small postflop pots in the early stages of tournaments. He also touches on strategic adjustments to make to small buy-in and large field tournaments. May 30, 2018 | 5 p.m.
Owen Shiels aka ozzieowen kicks off a new series on the $22 Powerfest Mini Main Event touching on the specifics of the early stages in these gigantic low stakes tournaments in part 1. April 30, 2018 | 5 p.m.
April 4, 2018 | 5 p.m.
Owen Shiels aka ozzieowen continues to break down the MTT play of Run It Once member Tao97, who finds himself inching ever closer to a heads up battle for the win. Feb. 14, 2018 | 5 p.m.
Jan. 31, 2018 | 5 p.m.
Jan. 3, 2018 | 5 p.m.
Owen Shiels aka ozzieowen discusses more hands including pre and postflop topics while following Tao97 as he takes one step closer to the juicy stage of this 6-max tournament. Dec. 27, 2017 | 5 p.m.
Dec. 17, 2017 | 5 p.m.
Dec. 3, 2017 | 5 p.m.
Nov. 5, 2017 | 5 p.m. In this new series of ProView Owen Shiels (aka OzzieOwen) follows the journey of fellow Run It Once member Tao97 to a $3.30 6-Max Final Table. Sept. 20, 2017 | 5 p.m.
Owen Shiels aka OzzieOwen takes a theoretical look at defense frequencies from the BB when facing a button open using a variety of tools to analyze the situation. Sept. 3, 2017 | 5 p.m.